Far from being a mere "nostalgic agrarian," Wendell Berry offers an important and redemptive vision for life through his poetry, fiction, and essays. His themes of community, place, and conservation speak to a range of people, both conservative and progressive, who are concerned with finding health in the midst of our restless, transient "culture of death." Wendell Berry's poetry, fiction, and essays persistently ask the question: How can we live meaningful lives in a consumer-driven, fragmented age? His honest search for health in the midst of disease has garnered attention and discussion in both conservative and progressive circles. Wendell Berry and the Cultivation of Life thoroughly examines Berry's main themes of community, place, and conservation. It offers an apology for the power of Berry's vision and the ways in which his account of the world resonates with the biblical narrative. Pastors, students, professors, and laity will discover in this book how to flesh out Berry's worldview and foster a culture of life in their neighborhoods, churches, and schools. J. Matthew Bonzo (PhD, Free University of Amsterdam) is assistant professor of philosophy and Michael R. Stevens (PhD, University of Dallas) is associate professor of English, both at Cornerstone University in Grand Rapids, Michigan. J. Matthew Bonzo (PhD, Free University of Amsterdam) is assistant professor of philosophy at Cornerstone University in Grand Rapids, Michigan. Michael R. Stevens (PhD, University of Dallas) is associate professor of English at Cornerstone University in Grand Rapids, Michigan. 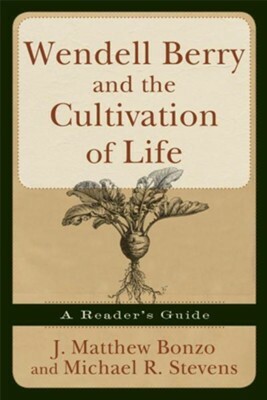 I'm the author/artist and I want to review Wendell Berry and the Cultivation of Life: A Reader's Guide.